Chiropractic Biophysics (CBP) is a system of chiropractic spinal analysis developed by Donald D. Harrison, M.S., DC, M.S.E., Ph.D., and Glenn Harrison, B.S., DC. This approach is used to improve patient well-being, was designed by these doctors, and looks at the body as if it is a machine. Although we know there is much more to a human being than the machine-like aspect, we are discussing the spine and nervous system have many “machine-like” qualities. The spinal unit is composed of bones, muscles, blood vessels and neural networks which resemble beams, motors, hydraulics and computers, respectively. This is why it isn’t unusual that the developers of this technique have applied several engineering principles when looking at the human body. 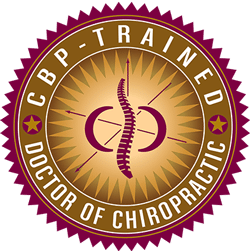 CBP applies the sciences of mathematics, physics and biophysics to chiropractic. This gives us a strong basis when communicating chiropractic to the rest of the scientific community. CBP attempts to understand and apply the universal laws which govern the behavior of matter and energy and their interactions in nature. Research has been on-going for over 20 years and is continually giving us more information to understand human form and function. Continual research allows us to improve and grow and better serve you the patient. The overall goal of the CBP technique is to restore normal three-dimensional human posture. Methods include postural adjustments, rehabilitative exercises, cervical extension traction and manual procedures. The goal is to provide you with lasting corrective care. We strive to fix the problem and not just give you a patch job. In CBP, the Harrison model is used to show what “normal” posture should look like. A subluxation is considered to be any posture that differs from this norm. The model represents the most complete chiropractic effort to date to establish what constitutes “normal.” Although not perfect, the Harrison model is a starting point and a reasonable clinical objective for corrective care. It is expected that as our knowledge expands, so too will the model expand and evolve. Patients who have a recent injury or their pain/discomfort have recently begun, will begin with adjustments to increase mobility and decrease pain. Ice is often used to decrease swelling, different types of stretching and massage, as indicated, are used to reduce spasm. The CBP corrective care plan includes the use of various types of adjustments, as well as several corrective extension traction procedures and corrective postural exercises. It is not the methods themselves, which are unique to CBP, but rather the rationale behind their use and the way in which these tools are used to accomplish our goals. Changes in the muscles that surround the spine take time. This is much like beginning a new exercise program at the gym. Results do not occur overnight, but instead require repetition. We cannot expect to go to the gym and workout for a week and have the perfect body, so we for sure can not assume we can work on our spine for a few weeks and have the perfect spine. Healing takes TIME! Mirror image exercise programs are set up based on individual need, after all, not everyone has the same posture. Exercises are used which will give you the most permanent changes. One of the most common postures, which presents in the chiropractic office is when there is too little or no curve in the neck. Changes are best seen with extension traction over a long duration and at a slow rate. This area does not respond well to quick and aggressive forces. A variety of traction methods are currently used in our office and by other CBP practitioners. Some of these methods may require times that range from 10 to 20 minutes, according to the doctor’s discretion and patient tolerance. Many patients also receive a home traction device so that they may actively participate in their recovery program. There has been great success in restoring cervical curves using these methods. The chiropractic biophysics technique is unique for several reasons. It provides a specific goal of restoring ideal posture. It correlates posture with precise x-ray analysis to help eliminate much of the error found when using X-rays alone. It effectively addresses the overall posture of the patient by means of mirror image adjustments, and it seeks to rectify long-term soft tissue changes by means of extension traction and rehabilitative exercise programs, which are tailored individually for each patient. View positive spinal change utilizing CBP™ at www.IdealSpine.com. This site contains valuable information about chiropractic care, and specifically, Chiropractic Biophysics Technique (CBP) and the structural rehabilitation of the spine. 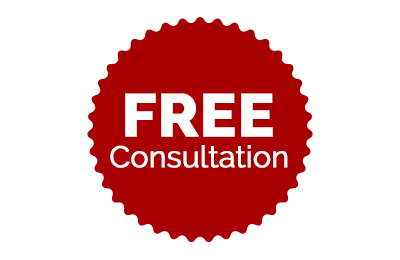 Take a look for yourself so that you might gain a better understanding of our methods.